Language is Language – that’s true, but it is always evolving, changing and being adapted by its users. For example, new words from other languages, from technology, from music, or from slang are constantly being added to enrich the language. Today we understand that English as Lingua Franca users are changing the language, too. What is the role of the teacher in this process of change and of increased mutability? ‘Shaping Language’ is not to be intended as conditioning or forcing models of language behavior on students, but instead, as building language awareness through language development. In the 21st century, does shaping the language serve better communication? Does it redefine how we communicate? The long-term goal of successful language learning is real-life communicative competence, and so all skills are needed to communicate effectively. To teach effectively the teacher will help students integrate those language skills to create a more active learning environment. As language teachers we can creatively shape the way we teach by experimenting with ways to meet the requirements that students need for effective language development. We can lead the way for students to put their creativity to work investigating new areas of inquiry in their learning process, and ‘thinking outside the box’. We can creatively encourage them to learn a range of language learning and language use strategies. More types of learning call for alternative and innovative forms of teaching, learning and assessment. Our teaching will be all the more effective if it is directed at facilitating learners to identify their own ways of learning through well-rounded, interactive, integrated and blended activities that allow the development of the whole person. Our understanding of those similarities and differences, helps teachers determine what to teach and how to teach. That is the way teaching can be shaped – shaping teaching to make space for learning. The native – non-native dichotomy has received considerable attention in recent years and has been discussed or argued among several scholars. The global spread of English has changed the perception of its role and triggered a process of reconceptualization of English, of its ownership and of its teaching and learning process. According to an increasing number of Second Language Acquisition (SLA) scholars and English Language Teaching (ELT) experts, the glory once attached to the Native English Speaking Teacher (NEST) model is fading, and the ‘ideal teacher’ is no longer a category reserved for NESTs. Non-native speakers (NNSs) may have certain abilities and advantages due to the fact that they have been learners of English, but how are these skills taken into account in the field of language teaching? Non-native English Speaking Teachers (NNESTs) are better anticipators of language learning difficulties and they might be more sensitive to language learners’ needs, providing the students with a better learning model. They can resort to the local language to use cross-linguistic comparisons in order to help learners build from the known. What does being a NNEST nowadays imply in terms of effective and successful teaching? What are the advantages of and where does the privilege of NNESTs lie, particularly in intercultural settings? 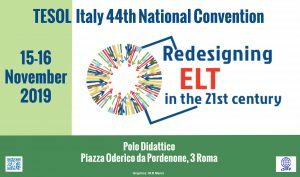 What implications in ELT? How can teaching materials be revisited and used? What implications for language teacher education? What forms of collaboration between NESTs and NNESTs? How are standards and testing being revisited? How are NNESTs’ learners’ and their families’ attitudes and beliefs being affected by current debates? How are publishers taking into consideration the whole issue? A “good school” is a good school for all; that is, it encourages the full development of all students. Migration on a global level is having an impact on the school, which calls for new educational solutions. Knowledge construction is a primary aspect of multicultural education: before teachers can effectively teach multiculturally they must first reconstruct their own world views. Teachers should modify their teaching methods to take into account the diverse cultural and educational backgrounds of their students in order to help them successfully adapt and achieve. However, cross-cultural understanding and intercultural communication skills are essential for all of our students. It can help them develop competency in multiple languages, gain in-depth knowledge and awareness of their own and other cultures, plus the necessary skills to interact in intercultural settings. The case of English is a very special one since the growth of a widening global and plurilingual society has questioned the role of English in Europe as well as in extra-European countries. English is increasingly (and authentically) used in cross-linguistic and cross-cultural settings. The global diffusion of English has permeated both the societal conditions and the educational processes of many countries deeply affecting ways of communicating in and through English, modifying local cultural traditions while English has been modified itself by local lingua cultures. English, responsible in the last decades of flows of culture and knowledge, has been appropriated by different users of English in diverse but equally powerful ways. It has become a language used to express local practices in a constant flow of globalisation and localisation. How can English language teachers deal with diversity as a positive learning experience for all students and incorporate multicultural perspectives across all learning domains? How might English contribute to fostering intercultural dialogue? Evaluation, in education as in any other field, generates knowledge, and knowledge is a prerequisite to qualify for any professional position. Evaluation data provide evidence of the diverse ways teachers teach, how they interact with their students, and also their expectations for both themselves as teachers and their students. They attempt to identify problems, to construct hypotheses for improvement, and to reconcile those assumptions with the adequacy/inadequacy of the available resources. And this applies also to learners when involved in self-assessment practices. Self-assessment is central in the teaching-learning process, but has it become part of the education process? Too often though, evaluation has been delegated to external institutions and teachers seldom own the evaluation process. But, when and how have teachers been prepared for evaluation? Is the evaluation component part of pre-service teacher education courses? And how are and could teachers be evaluated? For example, what variables can and should be taken into account to evaluate teachers’ competence as well as their impact on their students’ lives? Their subject content knowledge? Their command of English? Their implementation of ELT approaches? Their interaction with students? Their students’ response to their teachers’ instruction? The students’ progress in classroom-based assessment as well as in standardized testing? In these last few years evaluation has been one of the main themes in educational innovations: national evaluation projects (INVALSI), CLIL implementation, ways of recruiting teachers, school-based certifications, classroom-based assessment and, as for English, the diffusion of World Englishes and of English as a Lingua Franca. How has all this affected teachers’ and students’ practices and beliefs?